Ahead of the Yayasan Sime Darby Arts Festival (YSDAF) 2018 this August is the Battle of the Bands, where various music bands battle to earn the coveted spot of performing during the finale weekend at the Kuala Lumpur Performing Arts Centre. 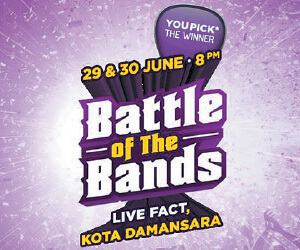 The people have voted over the past two weeks, and the eight bands with the most votes will be named as finalists and will battle it out at Live Fact, Kota Damansara, hoping to secure the judges’ votes and win the audiences’ hearts. The band with the highest cumulative score will walk away with RM2,000, the title of grand prize winner and the opportunity to perform at the YSDAF Finale Weekend. Join them for the live show at Live Fact, Kota Damansara, today and tomorrow at 8pm. Recording artiste Atilia makes her long awaited return to Bobo KL. This Malaysian singer-songwriter started singing at a young age, being selected as the lead singer for a regional commercial for Coca-Cola when she was 12 years old. 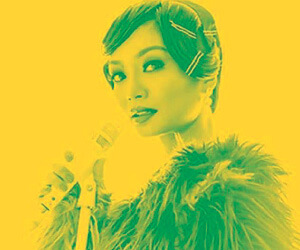 Her performance at Bobo KL will feature songs from her studio albums: Sangkar, Indah and No3, as well as a few Raya songs. The performance takes place today and tomorrow, from 9.30pm at Bobo KL, Jalan Bangkung, Bangsar. To make a reservation, call (03) 2092 5002. The Rat Pack was an informal group of entertainers centred on the Las Vegas Scene. Their impromptu sell-out shows attracted the rich and famous to see them joke around and sing some of the finest songs ever written. The Definitive Rat Pack are some of the world’s finest interpreters of Frank Sinatra, Dean Martin and Sammy Davis Jr, acclaimed singers who were the original cast members of The Rat Pack. To call them a tribute act would undervalue the hard work and dedication Stephen Triffitt, Mark Adams and George Daniel Long have put into their past 10 years of performances. 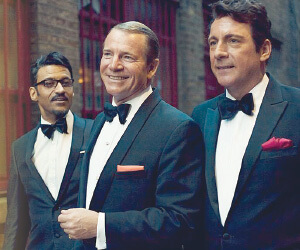 They will be bringing their act here to Malaysia, at Hilton Kuala Lumpur, for a night of faithful 1960-era re-creation on Sunday at 8.30pm. 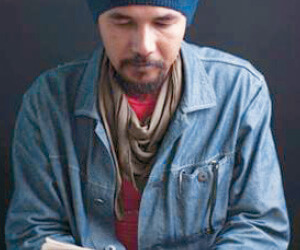 Thai Malay poet Zakariya Amataya will be speaking about his poetry, and his recently launched literary work, at Ilham Gallery tomorrow. The poet received the prestigious Southeast Asia Writers Award for his first published book of poetry, and his latest literary journal, The Melayu Review, is a collection of stories, poems, photography and art related to the Patani region. Join him at Ilham Gallery tomorrow from 3pm. 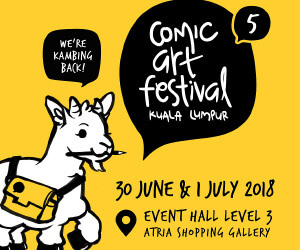 Comic Art Festival KL (CAFKL) is an annual event that celebrates the creativity and diversity behind the art of illustration, comic-making and other related fields. Now entering its fifth year, CAFKL has supported and highlighted the best comic art and artists in Malaysia for half a decade. Come experience the comic culture of Malaysia in this event featuring artist booths, demonstrations by guest artists and forums by members of the industry. The exhibition will take place at Event Hall, Level 3, Atria Shopping Gallery tomorrow and Sunday. The Museum of Illusions has officially opened here in Kuala Lumpur, the first of its kind in Asia. This museum boasts the largest single collection of optical illusions in Asia and is prepared to take viewers on an unparalleled visual and sensory experience. Illusions vary from a “gravity-defying” room to visual illusions where a person shrinks or grows before his very eyes. By showcasing these entertaining and mind-bending illusions, the Museum of Illusions hopes to teach visitors about vision, perception, the human brain and science, allowing visitors to understand why their eyes may see things the brain does not understand. For more information, please visit www.museumofillusions.my. Live From Seattle, Jo Koy will be heading to Malaysia to perform as part of his astounding Break The Mold Tour 2018. This Filipino-American comedian, who is based in Los Angeles, is widely known for his hilarious anecdotes about his family, particularly about growing up with a single “who raised us like she was still in the Philippines.” He regularly performs to sell-out shows, even breaking the record for most tickets sold by a single artist at The Neal S Blaisdell Concert Hall in Honolulu, with 11 sold-out shows and over 23,000 tickets sold. He will be performing at the Plenary Hall, KLCC, this Sunday. Tickets for the show are available online at www.ticketpro.com.my, with prices ranging between RM130 and RM320. 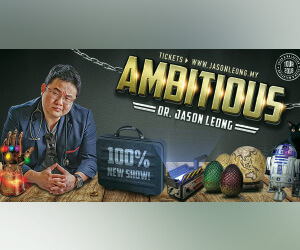 Dr Jason Leon is Malaysia’s fastest-rising stand-up comedian. Last year he appeared on Comedy Central and became their comedian of the month (August), performed to sell-out shows in Kuala Lumpur, Penang and Singapore, had a stand-up video clip that went viral (currently at 16 million hits and counting) and was featured on popular social media websites 9GAG and UNILAD. Now he is back with a brand-new show, AMBITIOUS, with never-before-seen material. He will be performing at the Temple of Fine Arts, today and tomorrow from 9pm. Purchase your tickets online at http://www.jasonleong.my. 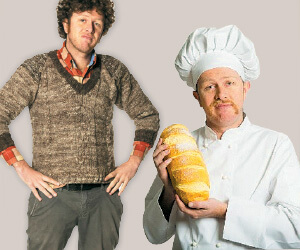 As seen on ABC TV and Comedy Central, Nick Capper has been doing stand-up comedy, emcee-ing, hosting and acting for the past eight years. 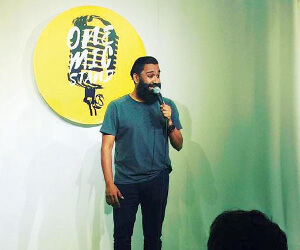 The comedian, who has performed at the Adelaide Fringe Festival, Melbourne Comedy Festival and Sydney Comedy Festival, has received praise from A-list comedians like Anne Edmonds and Mark Bonanno. He will be performing at Crackhouse Comedy Club KL, today and tomorrow from 9pm. Get your tickets now at https://peatix.com/event.